“Romford Speedway, which operated from 1969 to 1971, ran a few miles away from the Arena Essex Raceway in Romford at the home of Romford FC. They were forced to close in 1971 and reallocated to West Ham’s Custom House Stadium in 1972 for seven matches before reallocating again to Barrow as the stadium became unavailable. 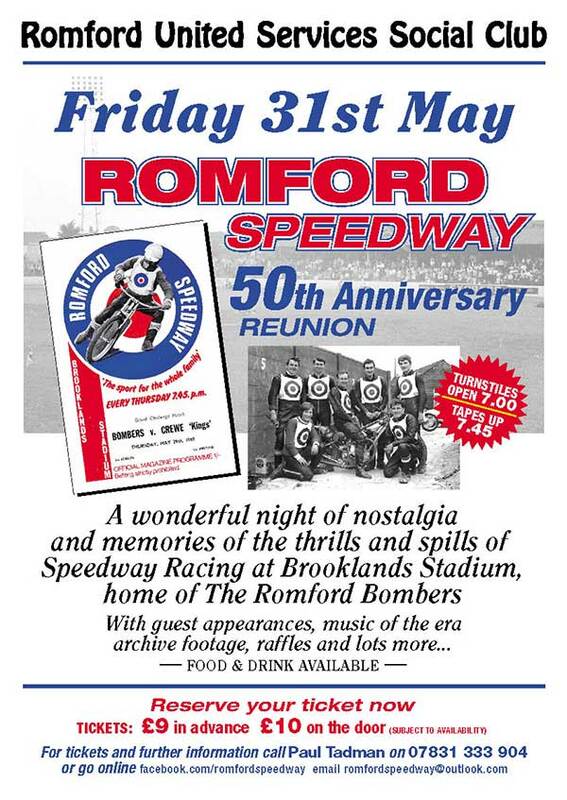 This year on Friday 31st May at 7:45pm Paul Tadman is holding a Romford Speedway Reunion, which is to be held at the RUSSC Club in Romford, literally a stone’s throw away from the old football ground where the Speedway took place.